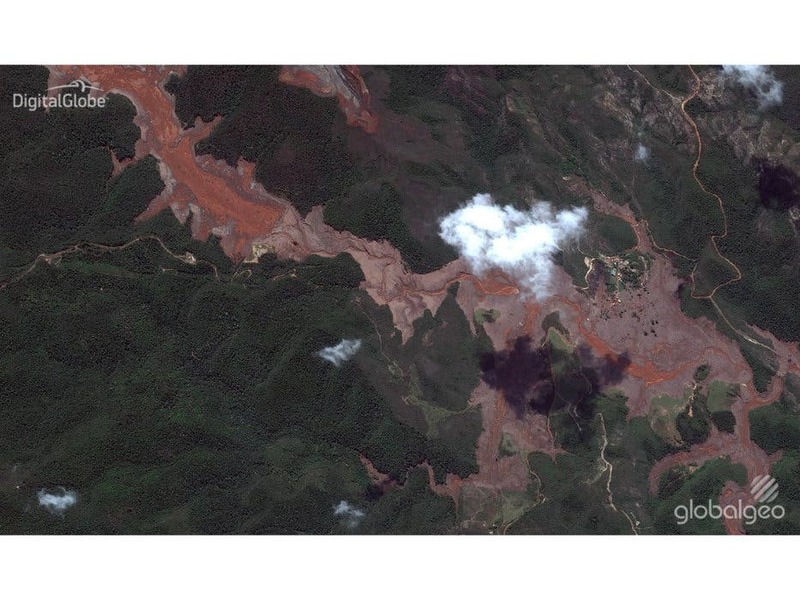 A month ago, millions of gallons of toxic mining waste burst into the environment following a dam break in the Brazilian state of Minas Gerais. 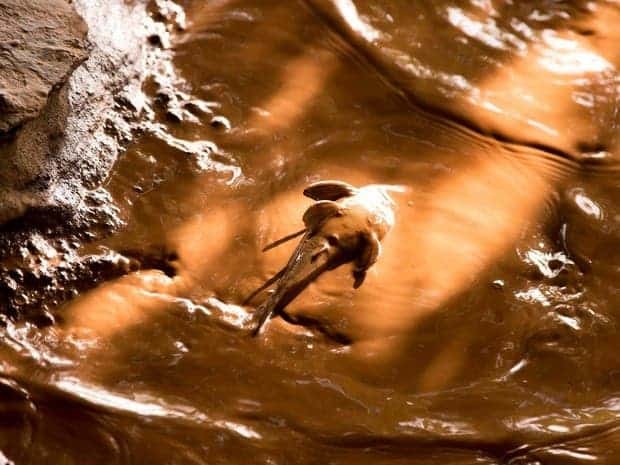 Since then, the sludge has left behind a 500 mile (800 km) trail of polluted rivers and banks, ultimately reaching the Atlantic Ocean and marking Brazil’s worst environmental disaster in history. The dam rupture killed 16 people and left hundreds homeless, but that was just the immediate impact. In the aftermath, damage to the environment is still unfolding as a river that flows through two states was flooded with the mud; 11 of the 90 species of fish in the river were already endangered, and biologists believe that most life forms in the river will be unable to adapt and entire ecosystems will be wiped from the face of the Earth. “This is a permanent blow. The cost is irreparable. 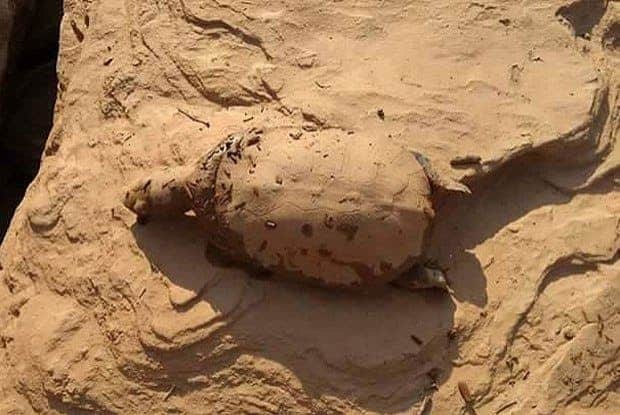 A lot of life forms are never coming back,” said professor Carlos Machado, a researcher who studies natural disasters at the Oswaldo Cruz Foundation in Rio de Janeiro. Considering Brazil’s levels of biodiversity, the magnitude of the catastrophe becomes greater and greater. Amidst frail governmental efforts to contain the damage, the hundreds of communities along the river scramble to adapt and mitigate the disaster, but no one seems to have a clear plan of what should be done. People have blamed the government for its lack of action, and as it almost always happens, the corporations involved tried to subtract themselves from any responsibility. 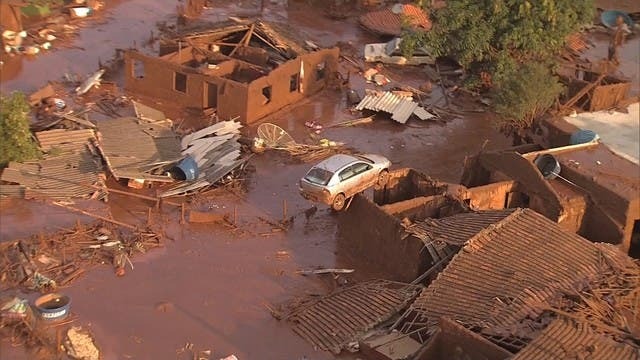 Mining giants BHP Billiton and Vale SA tried to pin the blame on their joint venture, Samarco, which despite being a sizable company in its own right, doesn’t have the finances to compensate. It’s something like not taking responsibility for punching someone, and blaming your left hand. Finally, federal judge Marcelo Aguiar Machado put an end to all this, blocking the assets of the two company until compensations are given. “I understand to be correct the allegation that Vale and BHP, as controllers of Samarco, can be classified as indirect polluters and as such responsible for the environmental damage caused,” he wrote in his 19-page judgment. The companies can appeal, and almost certainly will, delaying much needed action even more. In the meantime, riverside communities and river ecosystems will continue to pay the price. Residents from Linhares, nearby Colatina, and myriad inland communities now form daily long lines to receive bottled water from the military, but health experts worry that health issues and fatalities due to polluted water will continue. Metallic dust forming from the river is another emerging hazard. Despite governmental efforts to reassure the populations, the people are worried – and they have every right to be so. With Brazil facing a drastic economic crisis and plagued by corrupt leaders, the country seems unable to take proper measures.